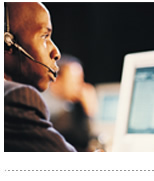 We have invested heavily in our customer support systems so we can take care of you. Our Microsoft CRM- system helps Customer Service Representatives provide friendly, courteous and knowledgeable responses in a flash. We are reachable by phone and email and are happy to assist with all of your needs. Data2 ships hundreds of orders daily and on-time 99.5% of the time, but if you need to check the status of a shipment click here.